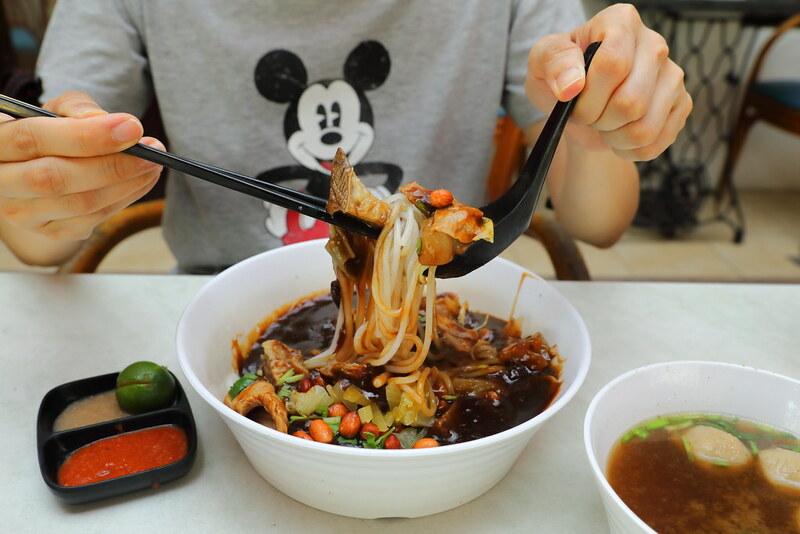 For fans of Wah Eng Hainanese Beef Noodles, you will be great to know that they have collaborated with British Hainan to bring the old flavour of old Odean beef noodles, with a history of 77 years to Joo Chiat. The joint venture sees British Hainan bringing the traditional flavours to the restaurant's menu. 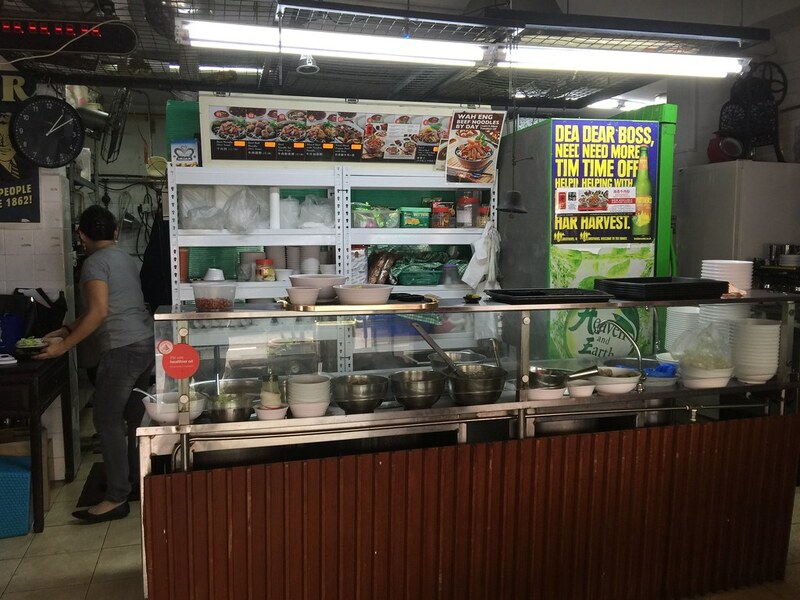 I tried both the dry and soup versions at Wah Eng. First is the Mixed Beef with Tendon Noodles Dry ($8.50). It comes with lean meat slices, tendon, tripe and beef balls. 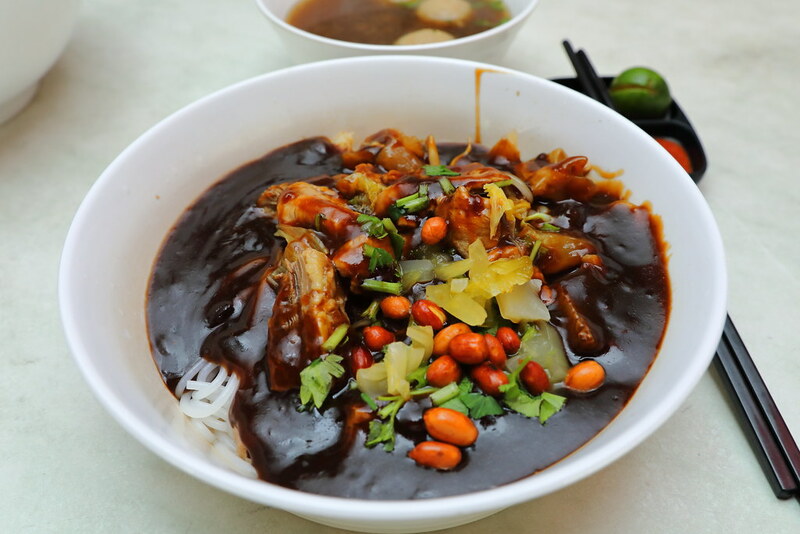 The bowl of thick rice vermicelli is drenched in a thick dark sauce, which I find it a bit too starchy. 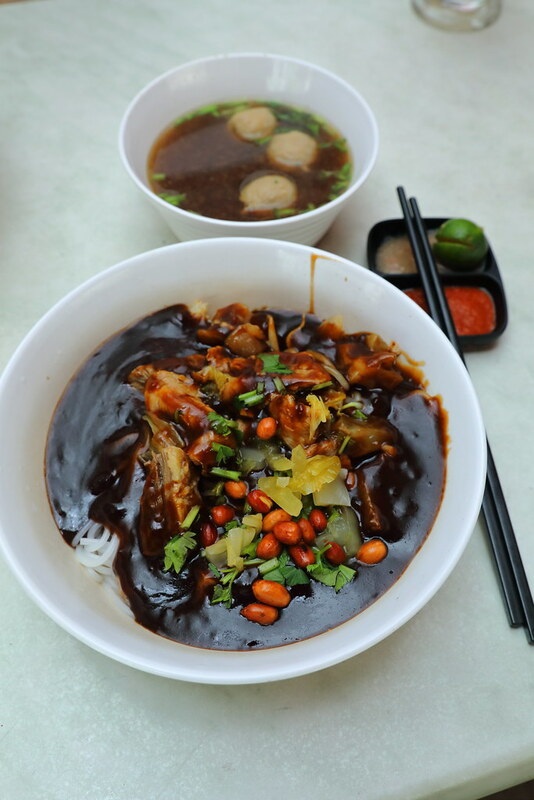 Putting that aside, I like the addition of the fragrant peanuts and salted vegetables which provided the extra boost in flavour to the bowl of slurping goodness. My favourite is actually the soup version. 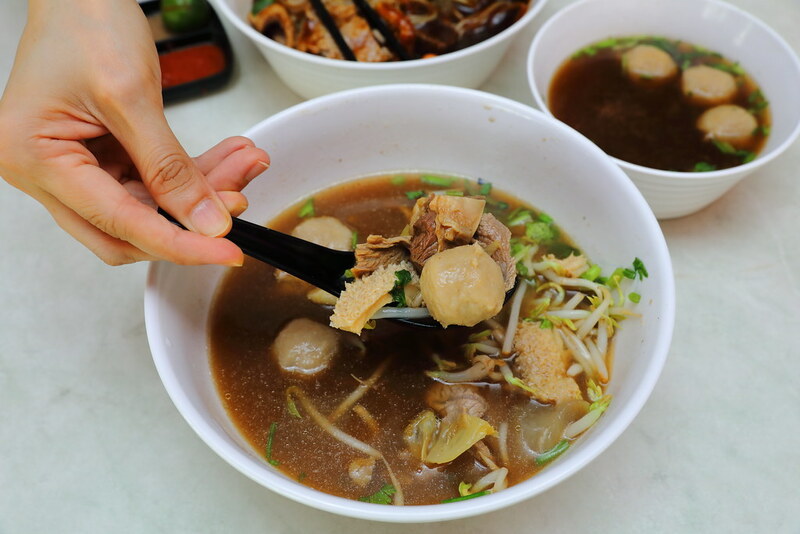 The Mixed Beef Soup ($7.50) comes in a light but yet robust beefy broth that has been cooked for a good 3 hours with beef bones and spices. The salted vegetables played an even prominent part in the soup version, providing the additional zest to the delicious broth. This is so tasty that I finished it to the last drop. 1) Alight at Dakota MRT station. Take Exit A. Walk to bus stop at block 99 (Stop ID 81181). Take bus number 33. Alight 3 stops later. Walk to Carpmael Road. Turn left onto Carpmael Road. Walk down Carpmael Road. Walk to destination. Journey time about 15 minutes.